Telecentric optical system is an optical design that where the principal ray in parallel to the optical axis. It eliminates distortion problems by collimating the light entering the lens and suitable for imaging 3D objects. Co-axial illumination is suitable for recognizing object with high reflectance such as wafer, glass, and metal. The number of lenses is fewer. Object size changes as the object goes up and down. Primary lays of object and image side are parallel to optical axis. Object size does not change when object goes up and down. Principal ray of object side is parallel to optical axis. Principal ray of image side is parallel to optical axis. Object size changes when object size goes up and down. A lens for video camera should be this optical system to correct color aberration. 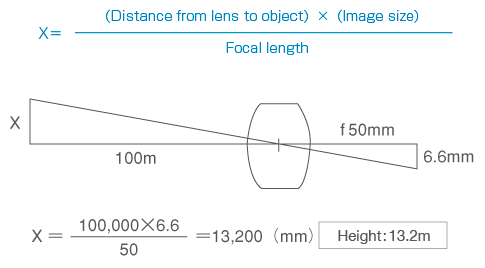 Size of 3D object changes when it goes up and down when non-telecentric lens is used. 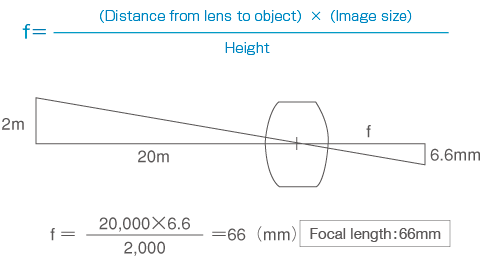 Telecentric lens is suitable for accurate measurement of 3D object. Most of lenses in this catalogue are designed for finite distan ce. Image format (sensor size) divided by object size equal to optical magnification. It is th e most important to select a lens. Examples of area sensor used for machine vision. Different size of sensor will be expected to be available for various applications. manufacture of a lens for line sensor are more difficult and complicated. The actual size of a viewed object that can be taken when a len s is mounted to a camera. Magnification of an image on a CCD camera when it is displayed on a monitor screen. Magnification of an object displayed on a monitor screen through a lens. Relationship of NA and Effective F No.